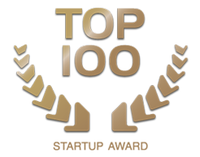 Each year, startup.ch launches the top 100 startup award. From over 100'000 young companies, the 100 most innovative and promising Swiss startups are picked by top startup experts. Recapp, founded in 2015 and based at IdeArk in Martigny, is part of this ranking. Recapp allows to easily recap in-person conversations through a cloud-based service that leverages speech and language technologies. Its software is used for the remote control of the new Swisscom TV Box. Indeed, the remote is able to understand the orders expressed in German dialects.